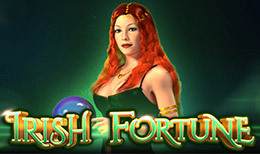 Irish Fortune is a 5-reel, 10 winning line slot by Inspired Gaming. There’s a lot of Irish themed slots out there so it can be quite difficult for developers to create something unique within this theme. This slot has got Bonus symbols, Wild Symbols, Free Spins and the Fortune Bet feature so you won’t have a lack of exciting fun here plus if you’re a fan of a good old Irish theme, you’ll feel right at home here. Inspired Gaming is a global games technology company that supplies mobile gaming, virtual sports and server-based gaming systems. Their work is impressively detailed and their graphics are flawless. It’s easy to see how dedicated they are to providing quality memorable experiences for their players. Their games are accessible on desktop and mobile as well. The company employs more than 800 people in their offices. Game symbols include Celtic inspired icons which show up during the main game. The standard card values include; K, J, A and Q which have been decked in emerald green. The main ones are a gipsy wagon, a Celtic Cross, a jewel-encrusted ring, a harp and a 4-leaf clover. The bonus symbol is represented by a pot of gold. Wild symbol- It is represented by an auburn-haired maiden. Wilds are active in the main game and also the Free Spins round. They usually hit the 2nd, 3rd and 4th reel and replace all the symbols except the Bonus one. When a wild lands on the grid, it expands and fills the entire reel. Free Spins- If 3 or more bonus icons land anywhere on the reels, a player is rewarded 12 Free Spins. Bonus symbols also have their original payouts as follows; 3 award double your original bet, 4 award 20x your stake while 5 award 50x your stake. You can also land 3 or more bonus symbols during Free Spins and get rewarded 12 extra Free Spins. When a wild lands during Free Spins you get 2x its value. These will award extra Free Spins and substitute for the lowest value icon with the next one a value higher. 1 wild awards one free spin, 2 wilds award 3 free spins and 3 get you 5 free spins. Fortune Bet - When this feature is triggered, the Fortune Bet doubles the size of the Bonus icon and gives the current stake a 50% boost. The slot has a bright and colourful theme with mostly green tones since this is an Irish themed slot. You can also see nicely animated game symbols on the screen. The bonus features include; Free Spins, Bonus symbols, Fortune Bet and Wilds.